The plot continues to develop the show’s mythology, as Clark meets up again with Ryan, a teenage mind reader the Kents befriended last season. 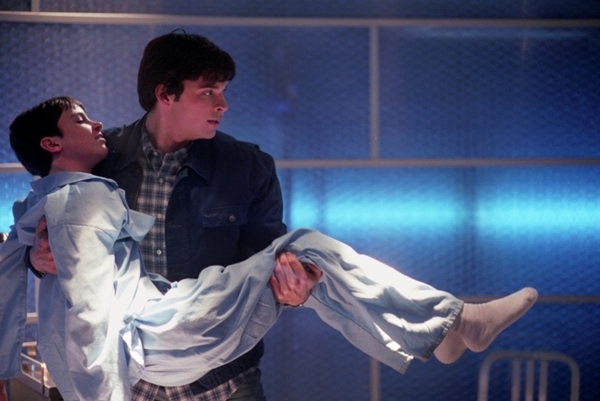 This time, Clark tries to protect the teen from a scientist who has been conducting cruel experiments on the boy. Meanwhile, Lex crosses swords with Smallville’s corrupt mayor over a potential business deal that could have serious ramifications for the town. A sad episode. Can't wait to watch it though! I don't know if it's or my internet but I couldn't get the page to load. Urg. Since was messed up, do we want to start this episode at 4:10 est? Yeah. is messing up stuff. I didn't start it yet. I think probably we should delay for another 10 minutes to see who shows up? I even edited the clock for post #2. I hope works for us. Yeah. I think pretty much ruined everything. If you want we can still go along with the episode at 4:30 though and everyone can pretty much just watch this episode when they have the time to. Yeah was not working for me so I didn't watch the episodes because I decided to go to bed since I had a bad headache. Maybe we can watch them on Wed. Seems like that might have to be what we will do.